Silvana Nahman is a communication professional who provides training, consulting, translation, copywriting and editing services to clients in the public and private sector. She holds a bachelor’s degree in translation and is a member of both the Ordre des traducteurs, terminologues et interprètes agréés du Québec (OTTIAQ) and the Société québécoise de la rédaction professionnelle (SQRP). She also serves on the SQRP’s board and coordinates its training activities. Ms. Nahman has been developing and delivering specialized business writing seminars since 2004. As a freelancer, she has contributed to creating and translating numerous business-related articles and documents, including promotional copy, websites and informational materials for the general public. She was also responsible for adapting a French-language usage and style guide published in France by Reader’s Digest to suit the needs of the Quebec market. 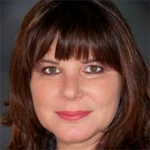 Prior to becoming a consultant, she worked for close to 20 years at such organizations as Alis Technologies, a language technology provider where she served as director of communications; HEC Montréal, in the public relations department; and IBM Canada, occupying various positions in language services, sales and marketing.